Today is Holocaust Memorial Day, an important opportunity for us all to reflect on the tragic events of the Holocaust. As the Holocaust moves from living history, to just history, it is becoming ever more important that we take the time to remember the victims and also pay tribute to the survivors. 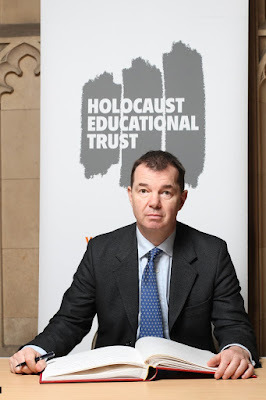 The theme of this year's commemorations is 'Torn from Home' and thousands of commemorative events have been taking place across the country, arranged by schools, faith groups and community organisations to remember the victims of the Holocaust and subsequent genocides. Today is an especially significant day as 27th January marks the anniversary of the liberation of the Nazi concentration and death camp Auschwitz-Birkenau, the site of the largest mass murder in history.